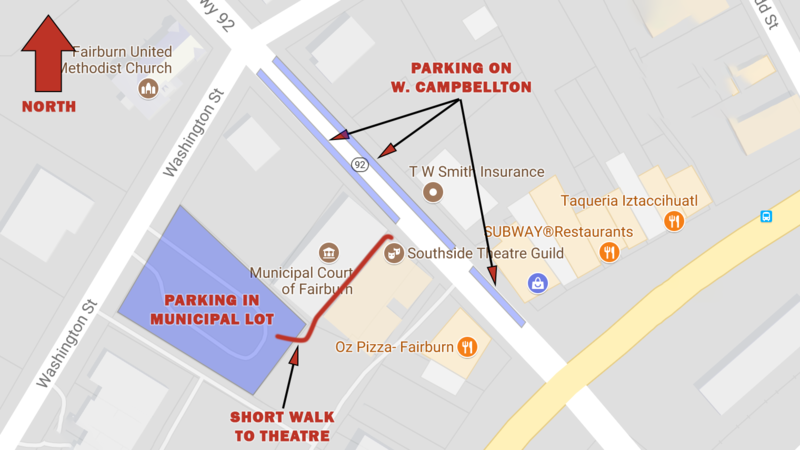 When you get to the theatre, you can park on either side of W. Campbellton Street. Or if parallel parking isn't your thing, you can park in Fairburn's municipal lot just around the corner from the theatre on Washington Street. From there take the walkway between the Municipal Court building and our theatre to get to the front entrance.